Entrepreneurs Are Receiving Money That Is A Bribe Of Their Partners With Both Of Whom Are Corrupt In The Company Room. Fotos, Retratos, Imágenes Y Fotografía De Archivo Libres De Derecho. Image 115915635. 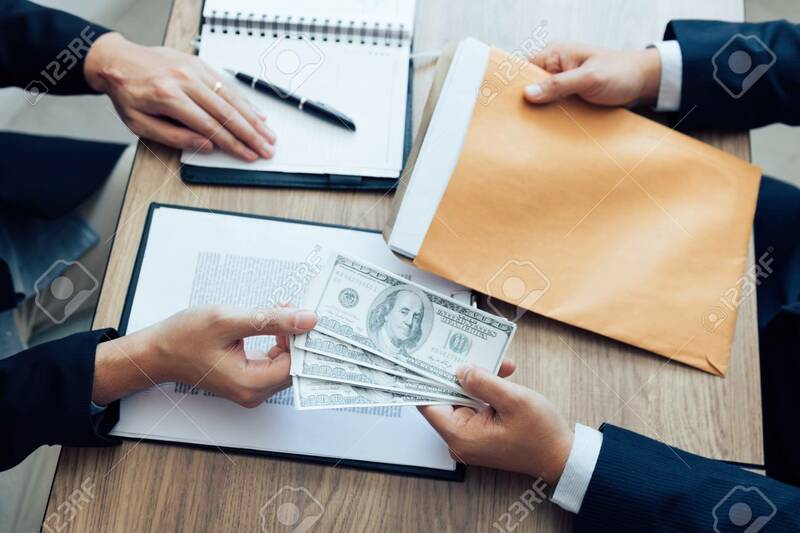 Foto de archivo - Entrepreneurs are receiving money that is a bribe of their partners with both of whom are corrupt in the company room. Entrepreneurs are receiving money that is a bribe of their partners with both of whom are corrupt in the company room.